Waze is a great tool for checking real-time traffic to and from your destinations, but this information was always limited to users who’ve downloaded the app. 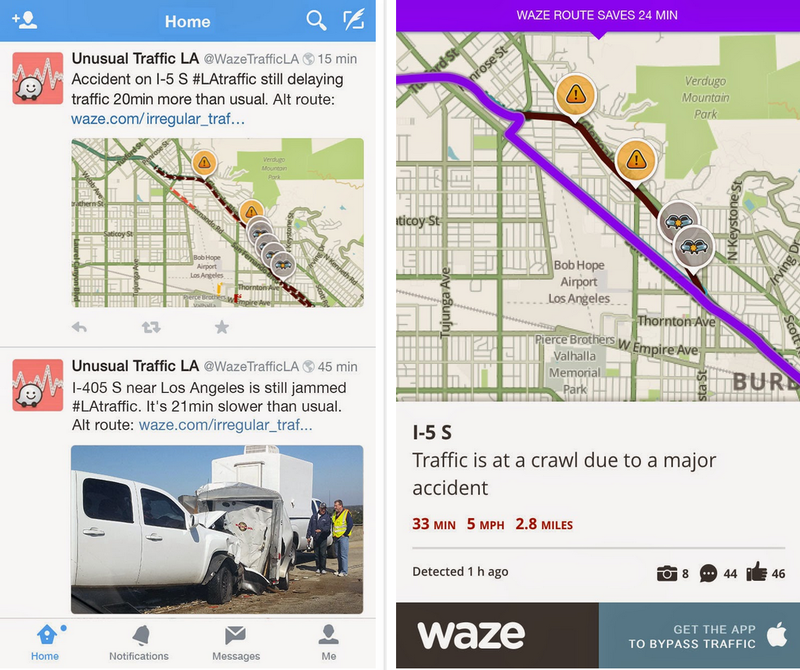 Today, Waze wants to make its data public by pushing unusual traffic alerts to Twitter. According to the Waze blog, users can now follow different Waze accounts for major cities across the globe to see any unusual traffic information. The tweet will include a photo of the current traffic situation, the cause (if known), and whether traffic is building up or dissipating. Users can also see a link to find alternate routes to avoid the jam, or see real-time photos of road conditions. While the tweets may not be of your interest depending on your daily routes, it might be useful to know where in your city you should avoid during various times of day. Waze also hopes that its traffic information can assist local news coverage. Check out the list of available cities Waze Twitter accounts support here. ➤ Waze Launches Unusual Traffic On Twitter!